Lawyers For Animals » Blog Archive » LFA turns 10 years old! LFA turns 10 years old! LFA turns 10 years old in 2015. 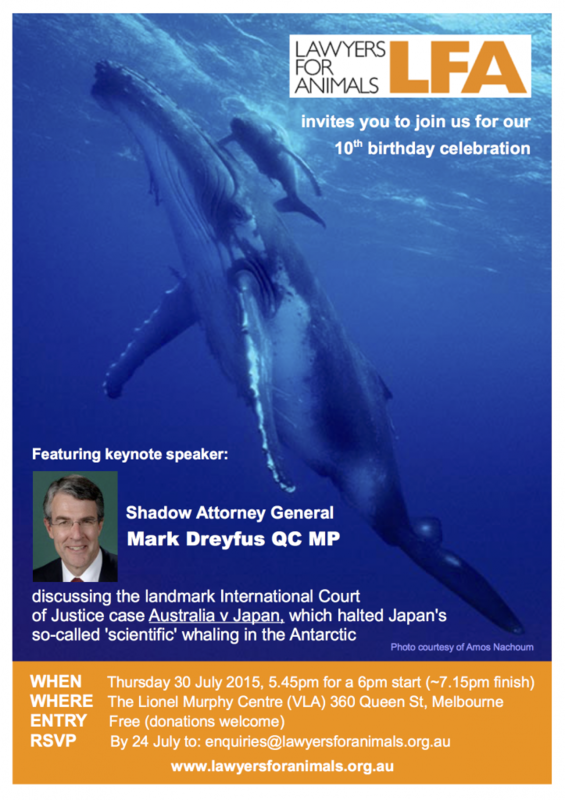 To celebrate, we’re inviting all our members, their guests and general public to a special birthday event on 30 July 2015, featuring keynote speaker Mark Dreyfus QC. Details below. To attend, please RSVP by 24 July.